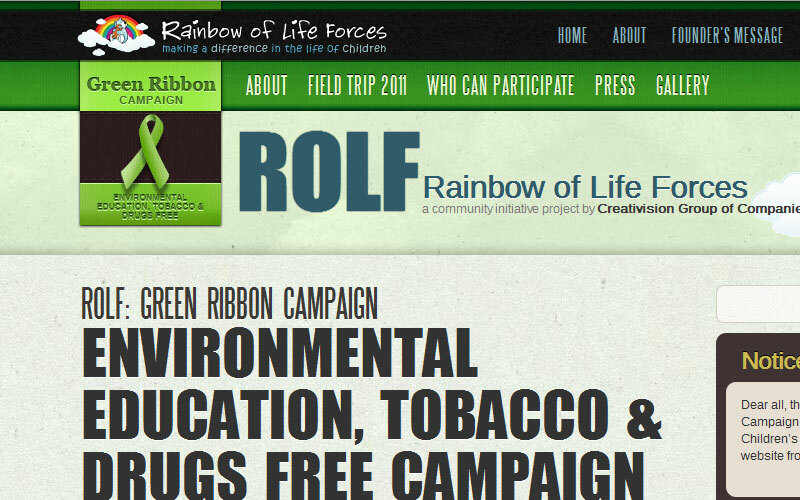 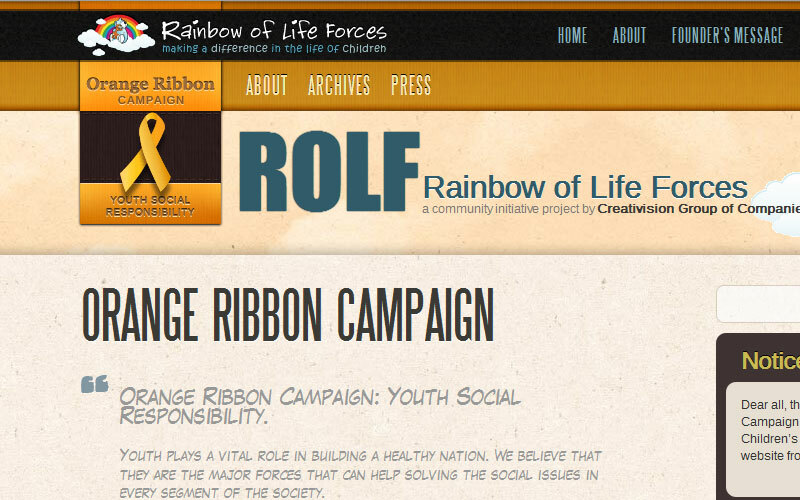 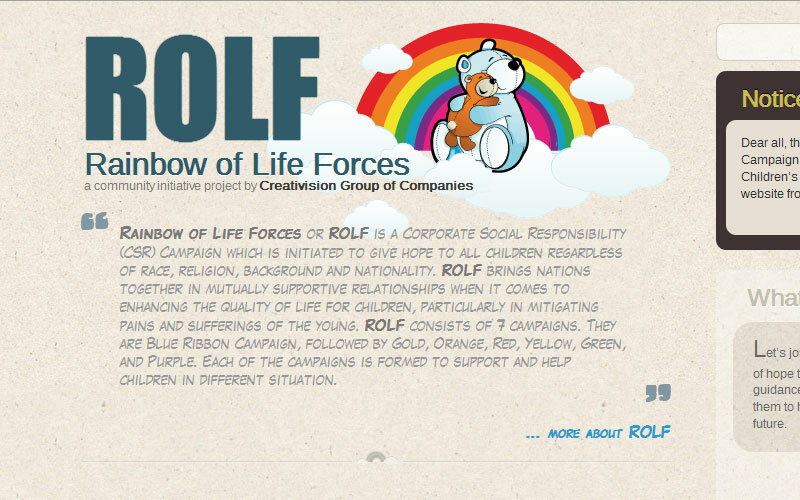 Rainbow of Life Forces or ROLF is a Corporate Social Responsibility (CSR) Campaign which is initiated to give hope to all children regardless of race, religion, background and nationality. 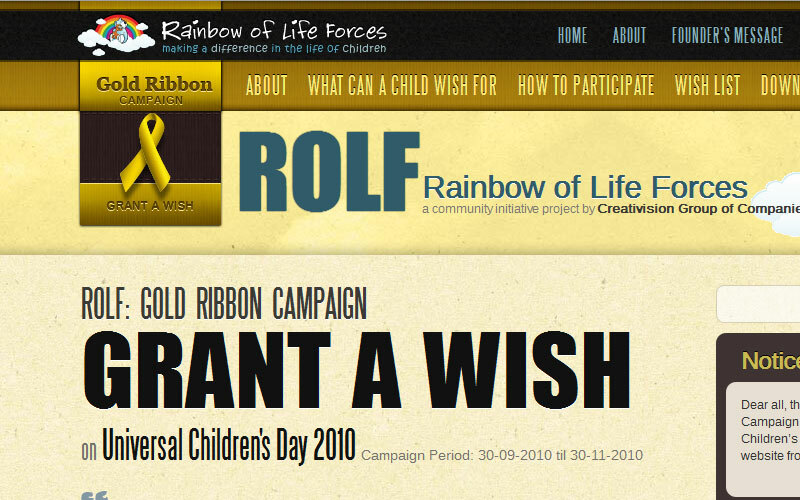 ROLF brings nations together in mutually supportive relationships when it comes to enhancing the quality of life for children, particularly in mitigating pains and sufferings of the young. 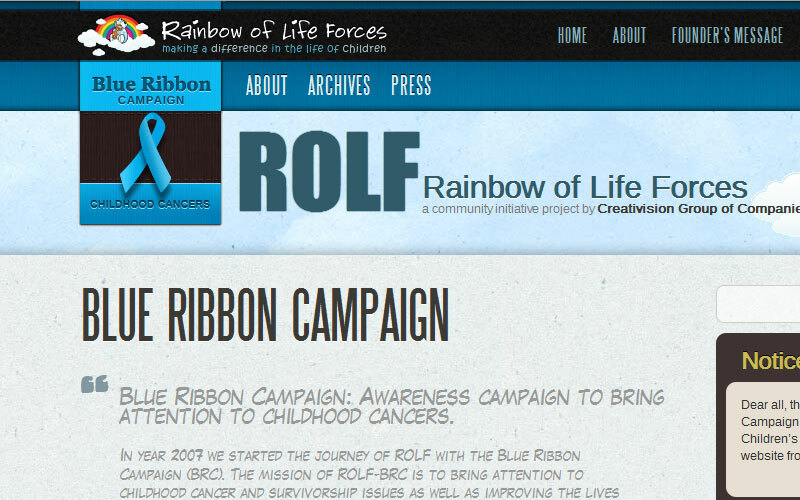 ROLF consists of 7 campaigns. 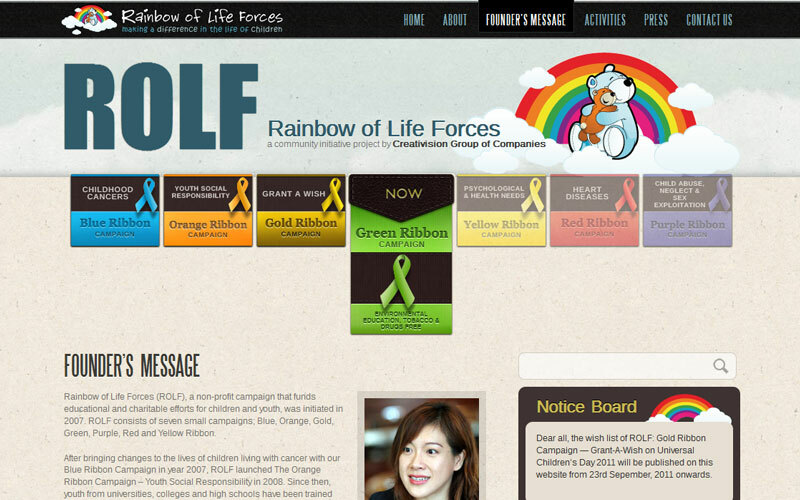 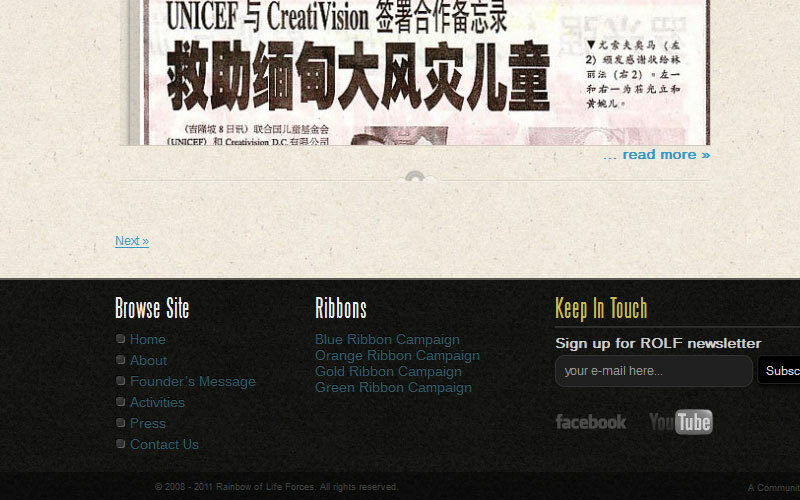 They are Blue Ribbon Campaign, followed by Gold, Orange, Red, Yellow, Green, and Purple. 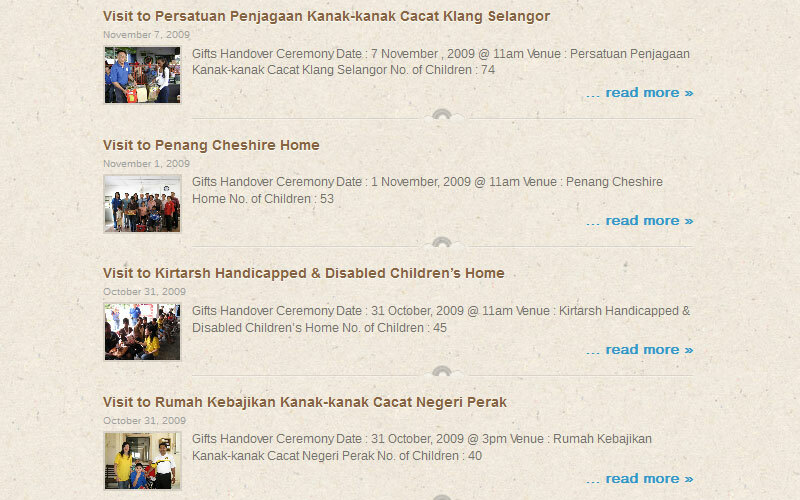 Each of the campaigns is formed to support and help children in different situation.